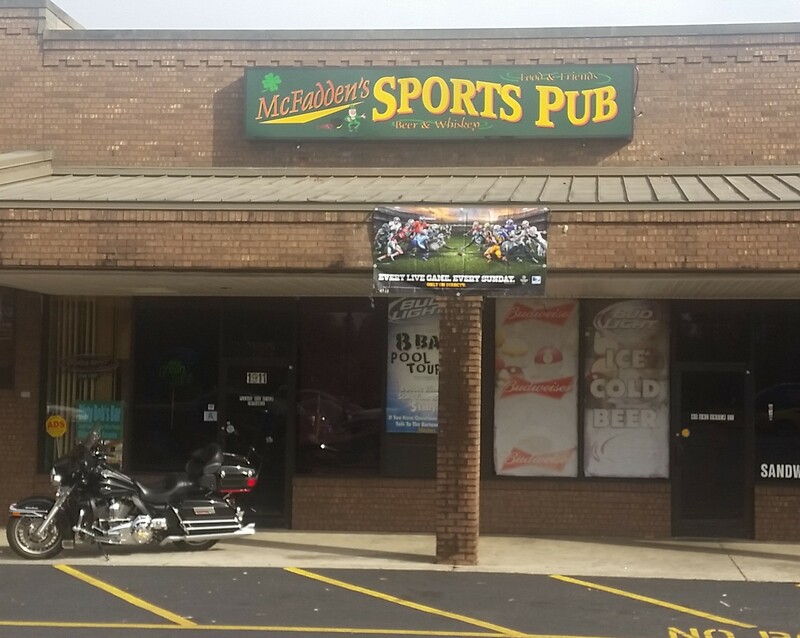 McFadden's Sports Pub has karaoke most Tuesdays, every Friday, and some Saturdays. We have a variety of live music on other Saturdays. We have APA and Valley pool leagues Monday, Tuesday, Wednesday, Thurday, and some Sundays. $5 pool tournaments start at 7 on Wednesday and Sunday if enough (8) competitors sign-up. Every Tuesday is Steak Day! $13 for a 10oz hand-cut Ribeye grilled outback on charcoal, cooked to order with two sides. Sundays we have free hot dogs and fixins while NFL games fill the TVs. So thanks for coming out, it's always a great day at McFadden's!